As a blogger and marketer myself, I’ve tried and tested various ways to manage my blogging efforts. Recently, while working on the Brightpod blog and talking to customers that manage their own blogs using Brightpod, I’ve realized that using a task management tool for your blogging efforts can streamline the process and reduce chaos (especially in case of multi-author blogs). 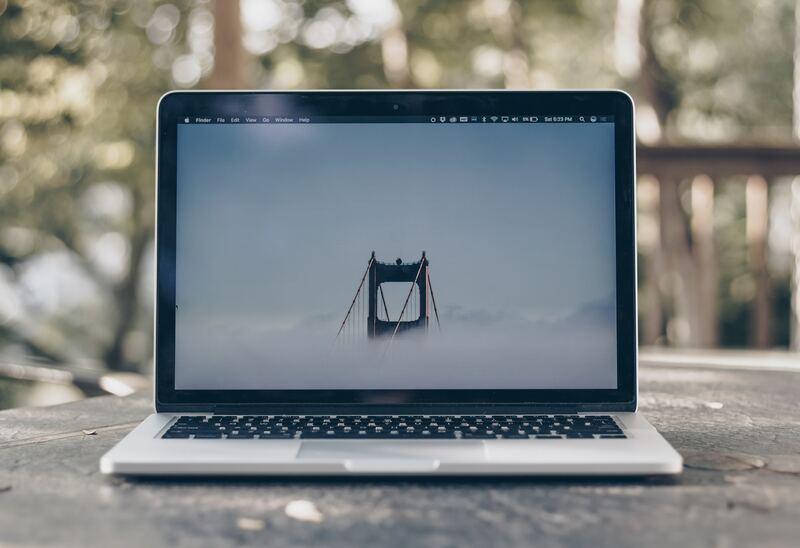 In this post, I’d like to give you an in-depth look at how you can use Brightpod for blogging and content marketing campaigns. Brainstorm Topic Ideas together - An essential element for the success of any blog is to brainstorm and cultivate a list of interesting and thought-provoking topics based on the niche you’re targeting. The best way to go about doing this is to ask your entire team to pitch in with topic ideas. This helps makes sure there are different perspectives that come together and there are enough topic ideas to keep you busy. Brightpod offers a great way for teams to collaborate in such a way. 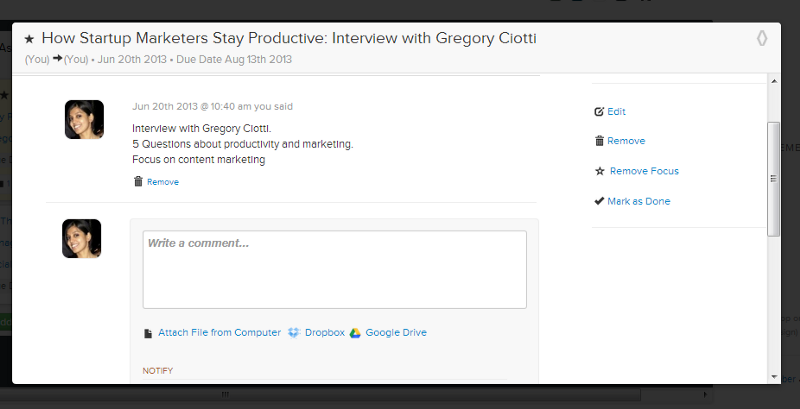 For our own blog, we contribute ideas by adding tasks to our content marketing project. The tasks go under a task list called Post Ideas and have no due date at this time. Another benefit of using a task management tool like Brightpod is that team members can comment on tasks and share a gist of their idea or even a reference link so that the bloggers have something to go on. I find that this reduces future confusion and helps teams save time. 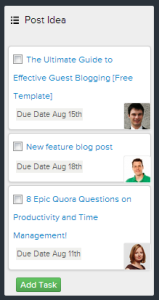 Plan your posts using the Kanban Flow View or Editorial Calendar - Once you have a bank of ideas to go with, the next step is to schedule these posts and assign them to the relevant authors. Here I’ve seen that different teams have their own way of planning their blog schedules. 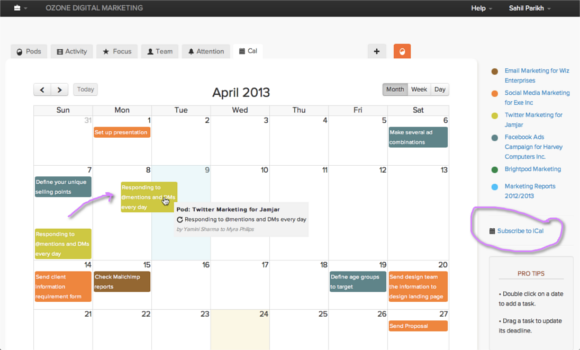 While many prefer editorial calendars, there a few that use task management tools for scheduling. Fortunately though, Brightpod has both an editorial calendar and a kanban style task management system (perfect for tasks that progress through different stages) that help make this exercise super simple. To plan our posts, we use the flow view with different stages i.e. Post Ideas, Assigned, In Progress, Pending Review and Published. Once posts are published, we keep them open till our next standup/planning meet after which they’re marked as completed. This ensures everyone can see the progress on each post as it happens. To get a birds eye view of the week/month’s schedule we use the Editorial Calendar. The calendar is also great for updating deadlines (simple drag and drop) as well as adding new tasks. Using the kanban style flow view or the editorial calendar is a matter of choice really. I personally like using the editorial calendar while others in my team prefer the flow view so this makes sure everyone is comfortable with the way our blogging efforts are managed. Collaborate on Posts - Another highly important aspect of blogging is to be able to collaborate with team members while they’re working on a post. For instance, you might have noticed that one of the stages listed above is ‘Pending Review’. At this stage, each blog post is reviewed by another co-worker for basic proofreading, fact checking and general quality control. I’m sure you can imagine that using email or IM for communication at this stage would be chaotic. This is where Brightpod’s messaging features come in handy.